Yesterday evening it was announced that the contract to create the next USAF bomber had been awarded to Northrop Grumman. We caught up with the Royal United Services Institute’s Justin Bronk for analysis of this enormous decision. Did you expect Northrop Grumman to win? I did expect Northrop to win since they have the obvious edge in terms of experience designing and manufacturing large stealth aircraft. The iconic B-2 Spirit remains the most formidable and technologically exquisite bomber ever developed and no competing foreign powers have yet shown even a capability to convincingly copy the broad outline of the design – an impressive pedigree. Northrop have also designed and built the extremely successful X-47B which proved their cranked-kite airframe layout was viable and stealthy, to a limited budget and roughly on schedule. In fact, the X-47B has surprised the US Navy by accomplishing far more in its test programme than was anticipated. 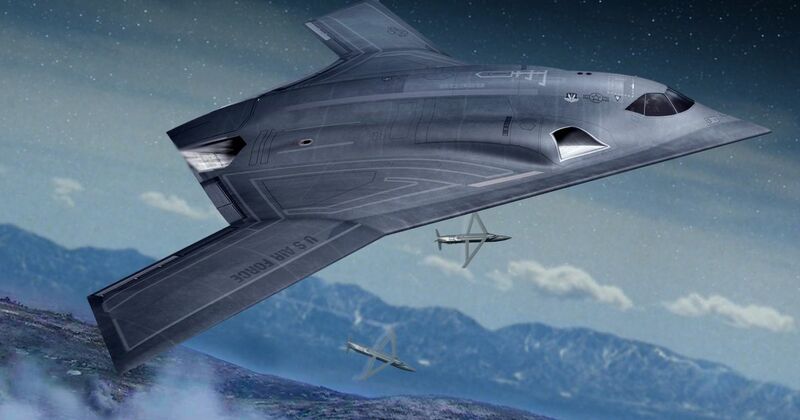 Furthermore, the cranked-kite shape is reportedly the basis for America’s most stealthy aircraft in service – the top secret and fairly large RQ-180 – again developed and delivered by Northrop Grumman. With a recent pedigree in producing an aircraft significantly larger than a fighter, with the capability to penetrate heavily defended airspace unseen and reportedly carry out electronic attack functions as well as ISR, Northrop were always ideally placed for the Long Range Strike Bomber (LRS-B) win. Whilst the Lockheed Martin/Boeing consortium would have brought huge experience to the project, their collective expertise in stealth aircraft development is decidedly in tactical fighter-sized airframes. Furthermore, both have vast global production commitments which would have potentially competed with LRS-B for priority in terms of internal resources and talent. What can we expect from their design? A large, cranked-kite layout with a significantly elongated wing and a central body as streamlined as weapon-carriage and fuel specifications will allow, with buried engines employing both intake and exhaust shrouding features. The question of optionally-manned appears to have gone quiet at the moment so we will see on that front but it will have to have a cockpit similar to the B-2 since the nuclear mission required crew capacity. 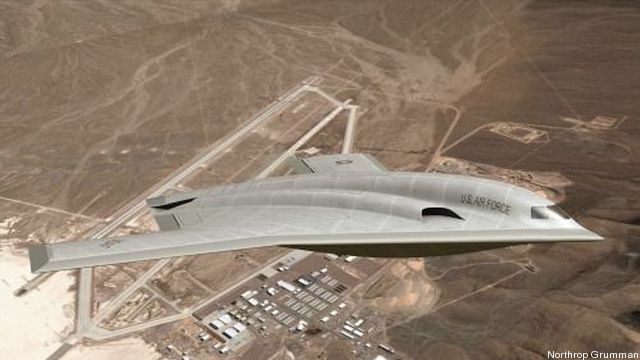 To stay within cost boundaries, it is almost certain that the aircraft will be smaller than the B-2 and will complement, rather than replace the latter in the deep-penetration deterrence and power projection role. It will also most likely have highly sophisticated electronic attack capabilities. Do you think the rival team will protest the decision? I think Boeing/Lockheed Martin are bound to appeal the decision but probably not with the same desperation as Northrop would have if the competition had gone the other way. It is not a catastrophic loss for either Boeing or Lockheed Martin but would likely have been terminal for Northrop Grumman’s ability to sustain their military aircraft business long-term. I also don’t think the USAF will be willing to tolerate a long, drawn out appeal process, especially given the IOC date of 2025. Is LRS-B the right concept? Considering the increasing sophistication and reach of A2/AD systems such as China’s IADS and DF-21D combination, along with the vulnerability of large, super-bases in theatre such as Guam to surprise attacks; I think the LRS-B is an essential requirement if the USAF is to be able to provide credible, scalable conventional and nuclear deterrent capabilities against peer-opponents going forwards. The question is whether the tendency towards requirements-creep can be avoided as it appears to have been up until this point, in order to keep development on budget and on schedule. The integration of directed energy weapons and other exotic technologies are certainly something which should be given consideration in terms of building modularity into the design, but not if the power-generation, space and cooling requirements of such theoretically useful systems make the aircraft too expensive and large to procure in sufficient numbers, or compromise its core mission as a bomber. The other worrying issue is the ‘optionally manned’ requirement which the USAF discussed several times in relation to the programme. Optionally manned appears to me to be a way of having to pay for the downsides of both configurations in terms of software complexity, support mechanisms, crew life support, cyber vulnerability etc, whilst not gaining the design simplicities of either. In addition, the nuclear role requirement means that for its most dangerous missions, the LRS-B will have to be manned, so I think the provision of an unmanned operations capability is an unnecessary complication and cost-driver. There is no doubt, however, that whatever Northrop Grumman eventually delivers to the USAF will be one of the most interesting and awesome looking aircraft ever built – I await it with great anticipation!